The Epiphone vs Gibson debate is one of the biggest debates in the guitar community. In fact, it has been going on for many years. If you are someone who isn’t too familiar with the guitars, you probably have a lot of different questions. What’s the difference between an Epiphone and a Gibson? 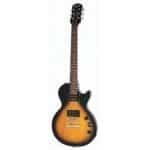 Is Epiphone comparable to Gibson? Should I go ahead and just buy an Epiphone or should I save up and purchase a Gibson? You should know that there isn’t really a right or wrong answer to the big debate. 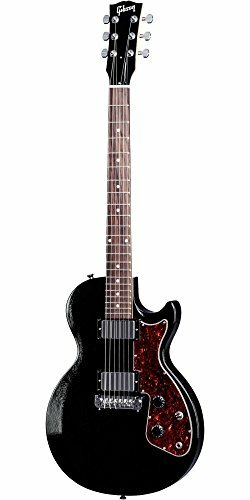 Epiphone has its positives in comparison to Gibson, just as much as Gibson has its positives in comparison to Epiphone. If you spend any time on any guitar group boards or chat rooms, you’re probably going to get your head mixed up. There are some people out there who refuse to play with an Epiphone. This, simply because they believe Epiphone is an undeserving brand. However, there are also people out there who love Epiphone guitars. These people believe that those who play around with Gibson guitars are snotty aristocrats. If you’re someone who is just looking for a great guitar to play on, it can get really confusing trying to figure out which guitar is better for you to choose. If you’ve had the time to play some rock and roll with both guitars, it’s totally okay to choose a side. However, if you’re a newbie who hasn’t had the opportunity to play with either an Epiphone or a Gibson, I would highly recommend that you keep an open mind. I am someone who has owned both an Epiphone Les Paul and a Gibson Les Paul; I personally believe that both of these instruments are great quality instruments that have their individual pros and cons. At the end of the day, the choice is up to you. Choosing between the two can be a huge decision. So, make sure that you take your time and really focus on which instrument is going to be the best quality instrument to bring into your musical life. Are you a professional musician? Go with the Gibson Les Paul options here. They tend to hold up better over time (durable materials) and subtle tonality preferences. Are you a casual musician? Go with the Epiphone Les Paul options here. The differences are probably not worth the price discrepancy for most casual players. Not a lot of people know this, but Epiphone Studio is actually owned by Gibson. This means that Epiphone is legally allowed to use the ‘Les Paul’ name. In addition, it means that Epiphone follows along with all of the Gibson’s speculations. A lot of people think that Gibson literally just copied off of Gibson with the Les Paul guitar. However, since Gibson owns Epiphone, the Epiphone Les Paul is a real Les Paul. This does not mean that the Epiphone Les Paul is the same as the Gibson Les Paul. Epiphone Les Paul’s are foreign built. This is the main reason behind the price tag difference between the Epiphone LP and the Gibson LP. By not being setup in the United States, Epiphone guitars are comprised of cheaper quality materials and cheaper labor. All Gibson guitars are made in the United States. When it comes to comparing their overall materials and constructions, Gibson’s materials are of higher quality. Both the Gibson LP and the Epiphone LP look very identical if you just give them a quick glance over. As a matter of fact, you probably wouldn’t be able to tell the difference between the two instruments. Not unless you got up close enough to look at the name that’s on the headstock. Or if you just happen to be someone who knows guitars extremely well. So, unless you’re someone who really cares about name brands, many people aren’t going to care whether your guitar came from Gibson or from Epiphone. With that said, there are a handful of aesthetic differences if you happen to look close enough at both instruments. The Epiphone headstock has a bit of a different shape in comparison to the Gibson LP. The Epiphone LP has a thinner body, and for the LPs that have sunburst finish. Also, the wood underneath the Gibson LP isn’t as cosmetically appealing as it is on the Gibson Les Paul Studio. Both Epiphone and Gibson create their guitars using a similar combination of tonewoods. Both companies use a mahogany neck set into a mahogany body with a maple top. However, Gibson happens to use higher-quality woods. Their tops are solid maple, while Epiphone uses a thinner sheet of maple and often combines veneer into their guitars. The hardware and the electronics that Gibson uses in the guitars are of higher quality as well. This means that they are less likely to wear down and malfunction over a period of time. In the Gibson Les Paul, Gibson uses Burstbucker pickups; while Epiphone does use quality pickups. They do not match the overall clarity, tonal quality, and depth that the Gibson pickups produce. However, if you take a look over at the Epiphone PRO series that hosts the new ProBucker pickups, these pickups do an amazing job of connecting the bridge between Epiphone and Gibson. Over the last few years, Epiphone has done an amazing job improving the hardware of the guitars. When looking at the hardware on a guitar, keep in mind that hardware the cheaper a guitar is, the lower quality is going to be. A lot of high-end Gibson guitars hold titanium saddles. There is also a large selection of hardware that Gibson creates in-house for custom models or any historic models. Gibson mainly uses hardware from Gotoh, Ping, and/or TonePros. Gibson is also a brand that is known for experimenting with different metals. A lot of Gibson’s older bridges are comprised of aluminum, but in more recent years Gibson has made bridges from Zamak. Epiphone has a process that is comparable to Epiphone but typically uses pieces that are less expensive. While there are some people in the guitar community that claim that Gibson uses better hardware overall, Gibson’s less expensive models such as the Gibson M2 use extremely low-quality bridges that are almost impossible to set with the neck angle of the M2 guitar. There are also complaints in the guitar market that Gibson’s Lightning Bar bridge is flawed too, with a lot of users complaining about having to installed aftermarket locket studs on their guitars. As for the hardware that the brands use, Gibson is known for using Corian-like composites for nuts, while Epiphone uses plastic nuts that aren’t as custom to the guitar as the nuts that Gibson uses, which means that the Epiphone nuts don’t fit the guitar as well. However, both brands use a variety of different tuners. Gibson is known for using self-branded tuners from companies such as Grover’s. However, Epiphone typically uses unbranded tuners that sometimes have a questionable performance; this is extremely noticeable on their cheaper models. There is a huge range of hardware that both Gibson and Epiphone uses, Gibson guitars typically have high-quality hardware installed on their guitars, simply because the pricing on their guitars allow the company to use pricier hardware. If you are someone who doesn’t enjoy playing heavy instruments, you’re probably going to want to pay attention here: the Gibson Les Paul is actually a bit heavier than the Epiphone Les Paul, but all Les Paul guitars do have a bit of overall heft to them. Gibson comprises their fingerboards out of high-quality ebony or rosewood, but you should know that they are beginning to work on making their brand more environmentally friendly, by using other resources than rosewood to lessen the impact that their brand is having on the world’s resources of rosewood. Epiphone comprises their fingerboards out of rosewood, but the pieces that Epiphone picks for their fingerboards aren’t as cosmetically appealing as the pieces that Gibson uses. Now, something is marked as ‘affordable’ is really a subjective statement because we all have different budgets and we all have different ideas on what is affordable and what isn’t affordable. Currently, the most affordable guitar that Gibson produces is the Gibson M2, which will run you around $400 (For the latest prices and discounts, check here) ; the most expensive guitar that Epiphone produces is the 1965 Elitist Casino, which will cost you around $2,000 (For the latest prices and discounts, check here). In order to get a better understanding of which brand is more affordable to go with, we’re going to take a look at a comparison of new models that both brands have released as of 2018. While the guitars in this comparison are exact replicas for each other, they are similar enough to compare to each other. By comparing the price range for both studio, you will get a better understanding of the budget you will want to work with when looking at the different variations of Les Paul’s that both companies offer. The average price tag on a Gibson Les Paul studio guitar is $2,465. In the same time, the average price tag on an Epiphone guitar is $583. The average difference between a Gibson and an Epiphone guitar is $1,882. If you take a second to really think about it, the price difference between the two guitar companies is actually a bit shocking. Especially when you consider the fact that the overall quality and tone from their guitars are comparable. Both Epiphone and Gibson guitars are easy to find on the guitar market… Even if you’re looking to find a used guitar. Gibson guitars tend to sell pretty close to their original market price, but there are also a decent amount of special edition Epiphone guitars that can reach closer to the Gibson price range. While Epiphone guitars are cheaper than Gibson guitars, both of these companies have a large range of different price tags for their instruments. The selection of wood that a company chooses to create their guitars out of truly impacts the overall sound, tonal quality, and resonation of their guitars. In the guitar community, it’s extremely common for musicians to discuss the different types of woods that companies are using to create their instruments. For example, Gibson has recently started adding basswood and baked maple into their guitar line. All of these woods produce different sound qualities in a guitar. As with any other type of wood, there are different types of species of the wood that grow in different locations. So, while Epiphone does use the same type of wood that Gibson uses, the species that the two companies use is extremely different. As a matter of fact, the difference in the species of wood that the two companies use is so different, that’s why wood got its own category in this comparison, simply because the difference in wood species affects the sound of the guitar so differently. In the example of rosewood and maple, the species that are used by Gibson and Epiphone are extremely similar, which is why you may not hear a large difference in sound or tonal projection. However, the case is completely different for mahogany. Mahogany has a decent amount of different species and the guitar companies that use real mahogany (also referred to as ‘genuine mahogany’ make sure to point it out in the product description of their guitars, Gibson as a point of an example. On the other hand, you have companies such as Epiphone that often use luan or sapele, which are cheaper woods and are easier to find in the market, while still being in the mahogany family. Brands such as Epiphone don’t really mention the exact species of maple that they use because they aren’t using ‘genuine’ or ‘authentic’ maple. In the past, Epiphone has also used alder or basswood in attempt to replace the need for mahogany, while still trying to produce the mahogany sound. Maple does have many varieties, but that’s not nearly as important as the different grades and thickness of the wood. Gibson guitars use a carved maple cap for most of their Les Paul models, which really adds to the overall cosmetic appearance and the tone of the Gibson guitars. Epiphone does use the same types of woods that Gibson uses, but Epiphone sources their wood from locations that are closest to their factories. When creating caps for their guitars, Epiphone usually doesn’t use the same woods to create their caps as the wood that you would find on the bodies. Typically, Epiphone uses a very thin maple veneer, which is common for many companies when using a figured or flamed maple; however, Epiphone still uses a thin maple veneer when using plain maple tops too. Both Gibson and Epiphone use several pieces of wood glued together to form the body of their guitars. Gibson typically only uses two to three pieces, while Epiphone can use several more pieces to create the body of the guitar. In order to disguise the number of pieces that the brand is using to create the body of their guitars, Epiphone applies a solid veneer on the back of the instrument; in the case of Gibson, that is not something that Gibson does on their guitars. What all of this means to you is subjective. If you are looking for the true representation of the ‘Gibson sound’ the different woods and the construction of the body are all things that you are going to want to keep in mind while doing your research. However, the minimal differences between the woods in these guitars are what make the Epiphone model much more affordable than the Gibson guitar. The differences in construction and wood also apply to electric archtops. Most of the Gibson ES models have a three-ply laminate of either combination such as maple, poplar, maple or a maple, basswood, maple. However, many Epiphone models (such as their Riviera model) use a five-ply design, but this isn’t always the case for Epiphone. It’s a common belief in the guitar community that the fewer plies that are used on a guitar, it will encourage the guitar to vibrate more freely. While Gibson does produce guitars that are higher in quality by using traditional tonewoods, they have begun to branch out to using different woods to become friendlier to the environment. However, Epiphone uses a variety of woods and a variety of wood species, while also using a different number of thinner plies to create the bodies of their instruments. The sound that the Gibson Les Paul produces is legendary. Some of the best guitarists in the world have played on the Gibson Les Paul. Zakk Wylde, Les Paul, Bob Marley, Slash, and Jimmy Page are just some of the famous musicians that have performed with the Gibson Les Paul and have helped to shape the sound and history of music. 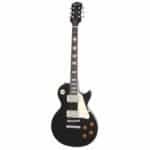 But, in all honesty, the big question of the day is: does an Epiphone Les Paul sound just as good as a Gibson Les Paul? No, but the difference in sound is going to cost you a few thousand dollars. You’re going to have to really think about whether the sound that the Gibson Les Paul can give you is really worth all of the extra money or if you’ll be just as happy with the sound that the Epiphone Les Paul produces. The Epiphone Les Pauldoes sound good. It has that rich and deep Les Paul Studio sound, but I wouldn’t necessarily say that it pairs with the Gibson Les Paul. The new ProBucker pickups that Epiphone has installed on the Les Paul Standard (full review) has really improved the overall sound of the Epiphone LP. The overall clarity of a Les Paul can differ based off of the quality of the electronics, the quality of the wood used to create the guitar or a combination of both of these things. Epiphone doesn’t really have a great definition to the overall sound that the instrument produces. On the lower registers, the sound produced is a bit heavy and round, while the higher registers are much less pronounced. As for resonance, you should be looking to physically feel the chord that you just played in your body, even if the guitar is unplugged. 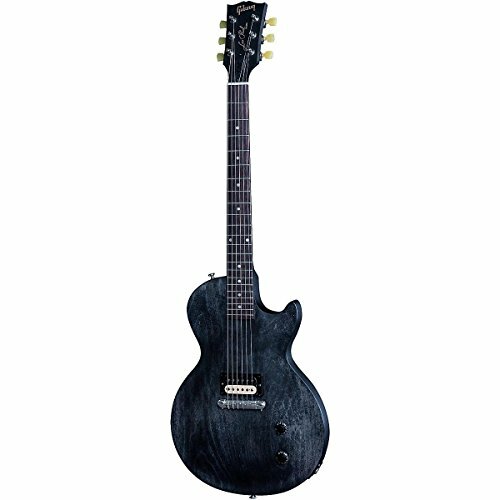 With the Epiphone Les Paul, the resonation doesn’t really compare to Gibson; even when the Gibson LP is unplugged, you can feel the chord that you just played resonate in your body. While I wouldn’t really say that this is because Epiphone is lacking in quality, I would say that this just goes to show what a few extra thousand dollars will get you in your Gibson. While the Epiphone Les Paul does sound great, it just doesn’t sound like the Gibson Les Paul. There are obvious reasons for this, like the construction of the body, the materials used to create the body of the guitar, the pickups installed, and a few other points that make Epiphone a cheaper company than Gibson. All of the cuts that Epiphone makes to create a budget-friendly guitar influence the tone of their guitars. 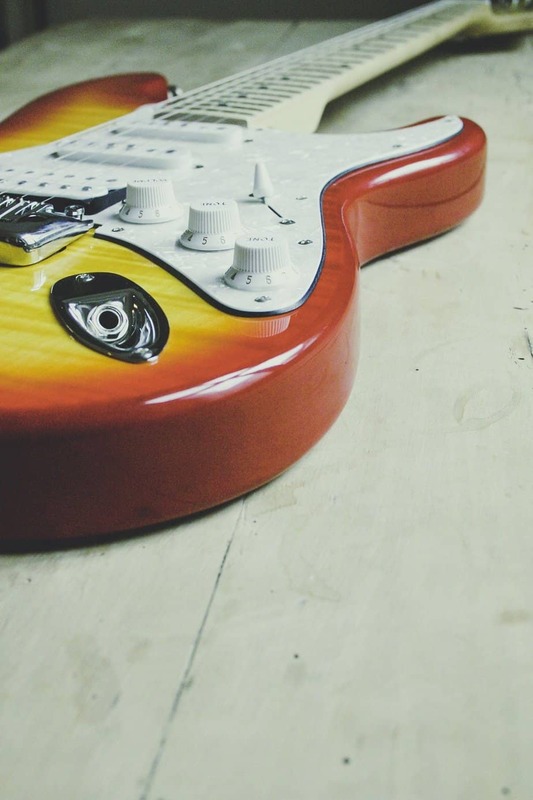 If you’re really interested in learning how to play guitar and are looking to keep your guitar around for years to come, long-term cost is another important factor to consider when you’re going out shopping for a guitar. The long-term value and the long-term cost of a guitar is something that’s too often overlooked when musicians are going out and buying a guitar. While both Gibson and Epiphone have very different baseline price points, a lot of musicians still end up purchasing a guitar with plans of upgrading various parts of the guitar, even if they’re buying a brand-new guitar. Buyers of either Gibson or Epiphone often end up swapping out bridge studs, pickups, buts, bridge, switches, jacks, and potentiometers. While this may seem like it’s going to be a lot of work to put into a brand-new guitar, it really all just depends on what you’re looking for in an instrument. Through my personal experiences of owning both an Epiphone Les Paul and a Gibson Les Paul, I did find that the Gibson hardware just seemed to age more gracefully. In the end, this should mean that your Gibson will have a longer life, while also having better adjustability in parts like truss rods. However, Epiphone has a scarf joint for their headstocks and scarf joints just tend to fall victim to fewer breaks than Gibson guitars (in my experience in owning and repairing guitars). If you’re someone who is interested in a Gibson guitar, you should keep this in mind for your new guitar, that breaking off the headstock or other parts of the guitar, can be a very real reality to you and your instrument. At the end of the day, if you are a musician who is looking to upgrade your instrument, the final cost will be basically the same for both instruments. With all of that said, there are definitely some reasons why someone may want to choose an Epiphone over a Gibson. First and foremost, Epiphone does produce cosmetically appealing guitars; the guitars that Epiphone produces look a lot like the Les Paul’s that Gibson produces, right down to the hardware, the pickguard, and the vintage tuning pegs. Don’t let the name of the brand be the sole decision that you purchase a Gibson. The opinions of other people don’t matter, but what does matter is if you’re happy with the performance and sound of your guitar. I also am someone who firmly believes that each individual guitar has a personality of its own; the sound of all guitars is unique because no piece of wood is created equally. You may go to your local guitar store and find an Epiphone that sounds identical to a Gibson Les Paul or you may even find that the Gibson you play around with sounds worse than the Epiphone you play around with. Again, deciding to choose an Epiphone over a Gibson or vice versa is really all going to come down to your budget. Also, your personal preferences, and your ideal music styles. At the end of the day, your decision to purchase a Gibson Les Paul or an Epiphone Les Paulis all up to you. In this review, we looked past any preconceptions and emotions that many people feel when comparing Epiphone and Gibson. This, in order to focus on the cost, components, and overall values of each guitar. When you’re testing out the Gibson model and the Epiphone model, follow your hands, ears, and gut. Whichever instrument you do decide to pick, know that a Les Paul is an instrument you’re going to love! Jamorama Review (2019 UPDATE): Is Jamorama Worth Your Time and Effort?